Optional power adapter for use with the iConnectAUDIO2+ that will charge iOS devices and power the iConnectAUDIO2+. The power adapter is only necessary for keeping an iOS device charged; the iConnectAUDIO2+ itself is powered over the USB bus (in USB Device port 2). Please use only the iConnectivity 9V/18W center positive supply; or you risk damaging the device. 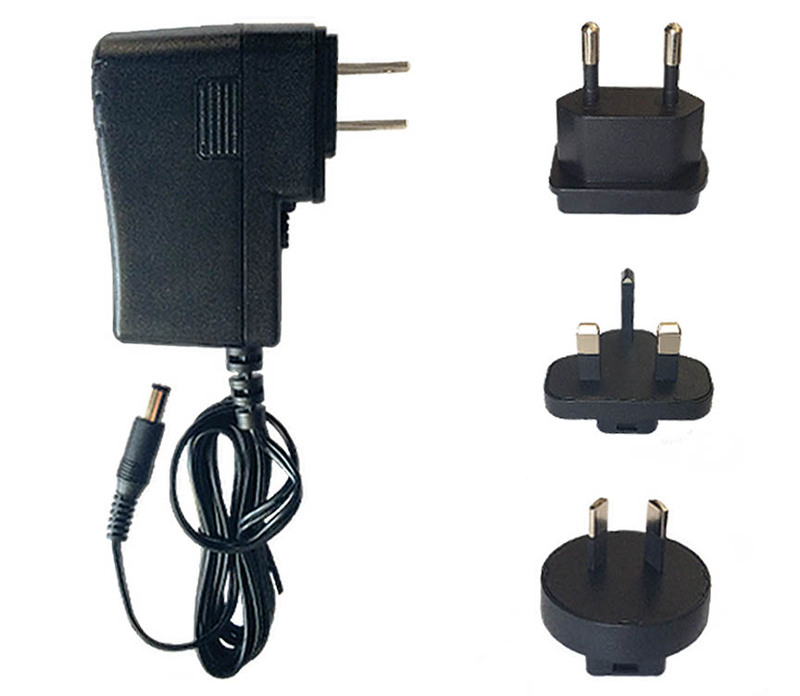 North American; UK; and EU plug types included.